Ford Motor Co will unveil its next-generation 2015 Mustang on 5 Dec, in the first complete overhaul of the car since 2005. “We had a big decision to make about the execution of the vehicle, but most of all we had a chance to globalize this iconic vehicle,” Ford global marketing chief Jim Farley told reporters at an event held in conjunction with the Los Angeles Auto Show. The company first announced the timing of the preview in a description of a video posted on its Ford Mustang YouTube channel. In the 15 days leading up to the debut, Ford is teaming up with Facebook and Instagram to showcase the car by having fans share photographic stories every day, including 15-second videos by select users, about the car using the hashtag #MustangInspires. Farley called social media the new platform for the company to get its brand message to consumers. In addition, the No. 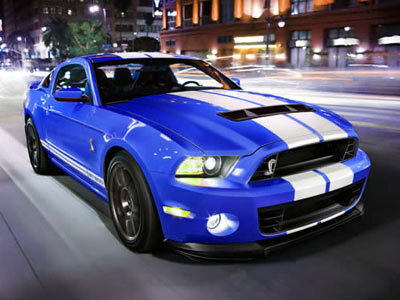 2 U.S. automaker is using Instagram to release the first image of the car to give fans a look at what to expect next month, and partnering with Dreamworks to allow the use of the Mustang in the movie, “Need for Speed,” due out in March 2014. The original Mustang was introduced at the New York World’s Fair on April 17, 1964, to national fanfare. It was featured on the covers of Time and Newsweek magazine, helping to cement the reputation of Ford’s then-sales boss, Lee Iacocca, and was purchased by more than half a million customers in 1965, its first full year on the market. When it was last redesigned eight years ago, the Mustang took a step backward in time, with a retro design that has attracted fewer and fewer buyers. Sales last year totaled just 82,995 and were down another 8 percent through October. The automaker has developed a new rear-wheel-drive platform for the 2015 Mustang, which will ride on the same 107-inch wheelbase as its predecessor but is expected to shed several hundred pounds. Ford is revamping the car’s suspension, steering and brakes, and upgrading engines and transmissions, with a new EcoBoost turbocharged four-cylinder engine to be offered as an option. 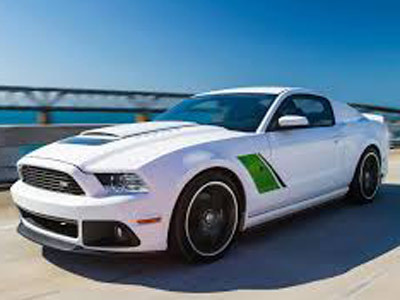 The exterior sheet metal and the cabin have been completely redesigned to give it a more modern look and feel, but the 2015 Mustang will have styling cues inspired by past Mustangs, the sources said. 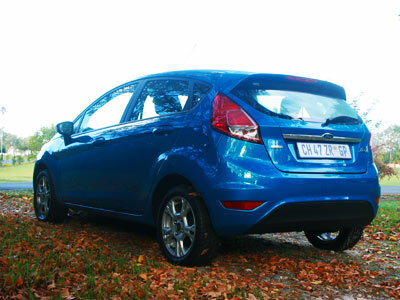 Ford today announced that the Ford Fiesta will now be offered with a PowerShift automatic transmission in combination with Ford’s 1.0-litre EcoBoost engine. The 74kW 1.0-litre EcoBoost engine will be paired with Ford’s six speed dual-clutch PowerShift automatic transmission – the first time Ford has combined the two technologies – delivering CO2 emissions of 114 g/km and 4.9 I/100 km fuel consumption. Unlike regular hydraulically operated automatic transmissions, which use power-sapping torque converters, wet clutches and pumps, Ford’s dual-clutch PowerShift automatic consists of two manual transmissions working in parallel. Each has its own independent clutch unit controlled by computers and fast-acting electromechanical actuators that shift the gears. One clutch carries the odd gears, 1, 3 and 5, while the other carries the even gears, 2, 4 and 6, and reverse. PowerShift is an automatic because the gear changes are co-ordinated by a computer that directs the clutches to engage and disengage in a way that provides seamless delivery of torque to the wheels, even during gear changes. 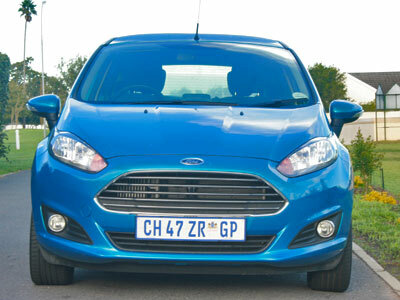 Ford sold 356,434 Fiestas in the first half of 2013. All Ford Fiesta models come standard with Ford’s warranty and service plan, which comprises of a four-year / 120 000km fully comprehensive manufacturer warranty, five-year Corrosion warranty and five-year / 90 000km Service Plan. A Ford Protect roadside assistance plan is in place for three-years / unlimited km while service intervals are scheduled at 20 000km. 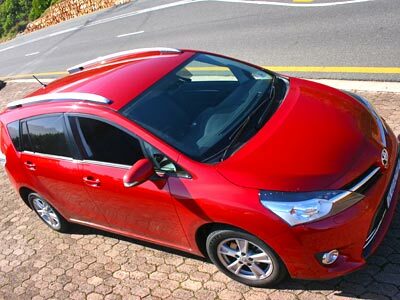 The Toyota Verso is an amazingly versatile car with the space of a little van. It is broadly speaking part of the Corolla/ Auris family, but altogether bigger where it counts. It is a very practical design and actually competes with the Renault Scenic, Nissan Livina, Mazda CX-5 and similar vehicles. Its a 5 door, 7 seater MPV, packed with all the equipment and components you may need. From cruise control to electrically adjustable mirrors, automated climate control, fully adjustable multi-function leather steering wheel, fully adjustable driver’s seat, Bluetooth and all the hard audio connection points, remote locking and alarm. There are three engine choices. A 1.6 petrol producing 97kW @ 6400rpm and 160Nm @ 4400rpm, The 1.8 putting out a respectable 108kW @ 6400rpm and 180Nm @ 4000rpm. The diesel does 91kW @ 3600rpm and 310Nm between 1600-2400rpm. The Verso comes with an anti-lock Braking System as well as electronic brake distribution and hill-start assist control and an active stability system. The new Toyota Verso is a thoroughly modern up-to-date car with all the safety and performance systems fitted as standard. 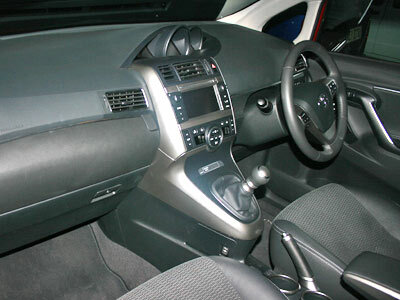 The interior of the Verso is massively improved over the previous model. It has a very pleasant cabin which is fully equipped and well laid out. There are storage compartments, cup holders and door pockets wherever possible. You could lose stuff in here! The seats are comfortable and fold in 32 different ways with individual seats in the second and third rows and second-row slide adjustment of 195mm. 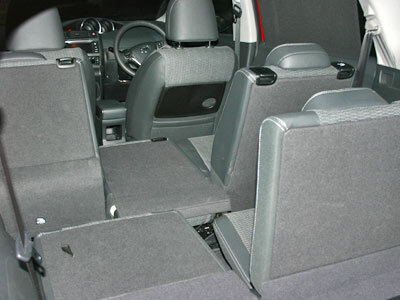 Load space is measured as 1.5m long and 1.4m wide with the seats folded flat if you need a van like load bay. The fit and finish of the interior is superb. Toyota claim average fuel consumption of 6.5 l/100km for the 1.6, 7.1 l/100km for the 1.8 CVT and a measly 5.5 l/100km for the 2.0 D-4D diesel. These are a little optimistic. Expect around 1 l/100km more. Fuel consumption is much better than the previous models. Performance is good. I enjoyed driving the car and having all that space available. It is one of those cars that will grow on you. As with so many cars these days the spare wheel is a space saver. 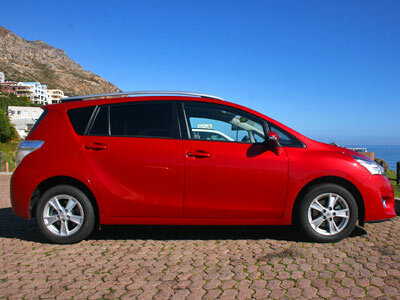 Toyota have succeeded in improving the Verso in every area and giving it a handling and performance edge in never had. The Verso range cost from R293 300 to R340 000. Whatever you buy, you will be getting value for money. I personally like the 1.8 TX automatic at R336 000. Warranty is 3 years / 100 000 km and service intervals are 15 000km. The service plan is 5 years / 90 000 km. 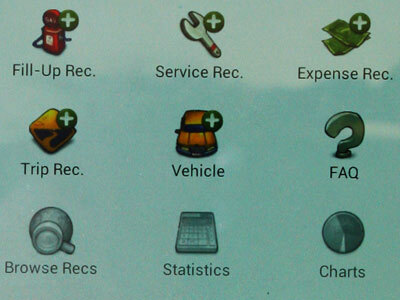 There are many apps available for your Android smartphone which will make operating and managing your vehicles easier and especially manage or know your car costs. 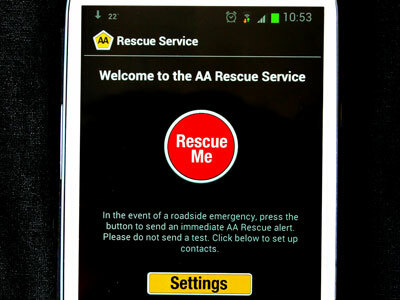 The AA has recently released an app they cal Rescue Service. Its free and very simple. You load it onto your phone and leave it. If you get into an accident or stuck next to the road you just push a big red button and it sends a message with your position to the person you nominated when you registered. Another very simple and easy to use app is called aCar. You use it to record your fuel fill ups, services, other expenses and trips. You can customise it to your needs. You can build in reminders for services or whatever. It can produce statistics and reports. It is also free and available at the Android app store. It is like a logbook but it allows you to see your costs over time for example. There are several other management apps including FuelLog, Carango and My Cars. There are also tracking apps which are based on the phone’s GPS. These apps will only work if your phone has GPS. Examples include Way GPS Phone Tracking, Track Location and apps which work with your existing Google maps app. These apps allow you to look at the route your driver used and even check on progress during the day. The Samsung store has Car GPS & Mileage Log Tracker and one I like called GPS Tracker which allows you to track a phone online in real time. There are also apps for iPhone and Windows8. Ask your friends what they are using and try several out till you find one you like. Look around on the app stores. There is a lot of rubbish, but some gems make it worthwhile. Another very useful app, but not car related, is Evernote. Its a shopping list, to do list and general Leatherman like tool for your phone and laptop. It automatically links and syncs between your laptop and phone. You will need a smartphone. The better apps will also work on and with tablet computers and laptops.